This is a guide for creating a function interface. 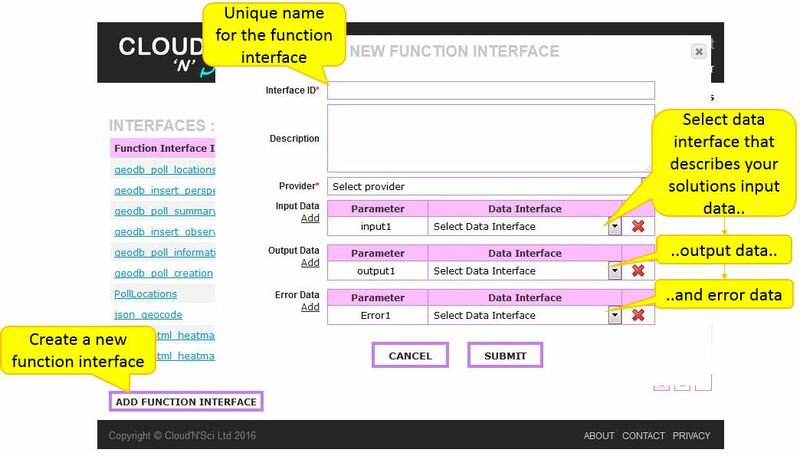 Select 'Add function interface' from Interfaces page and fill the form accordingly. Data Interface - Data interface that describes the type of input/output/error data. If no data interfaces exist that describe your data, you can create them.